Hangar 9’s P-51 Mustang 60 ARF is a remarkably accurate rendition of America’s favorite fighter airplane. This 60-sized almost-ready-to-fly airplane was designed and crafted to be the most realistic sport-scale ARF on the market. It is constructed of lightweight balsa and plywood, and the entire airframe is fully sheeted to maintain the model’s strict scale appearance and strong flight performance. 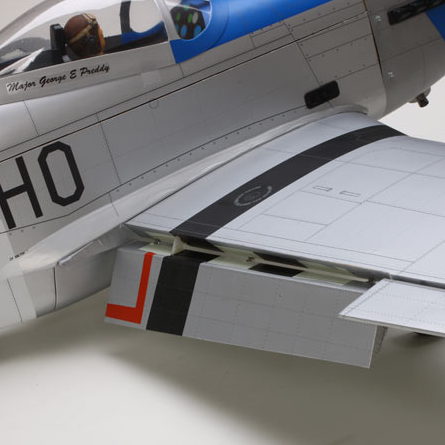 Scale airfoils were used to maintain the exact scale outline of the P-51’s tail surfaces, and the control surfaces feature scale hinge lines as well. 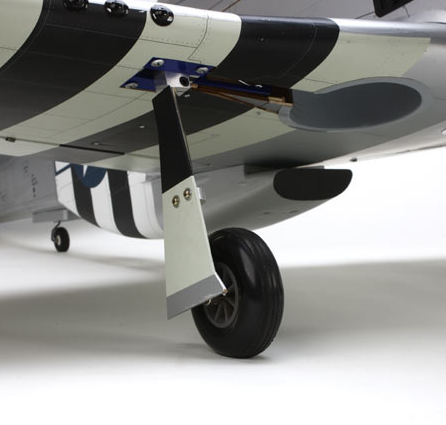 Even the location of the tail wheel matches that of the full-scale P-51. The functioning flaps facilitate scale takeoffs and landings while the internally mounted flap and elevator linkages preserve the scale outline. 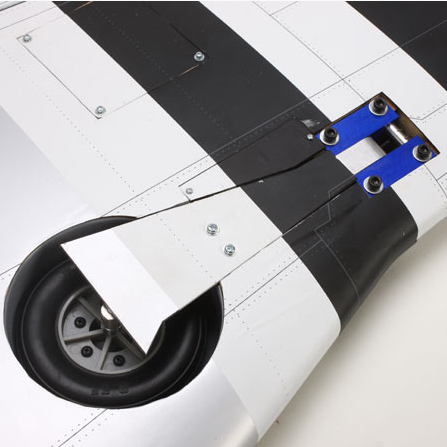 The P-51 Mustang features a plug-in, two-piece wing and plug-in airfoiled stab/elevator sections for easier assembly and disassembly. 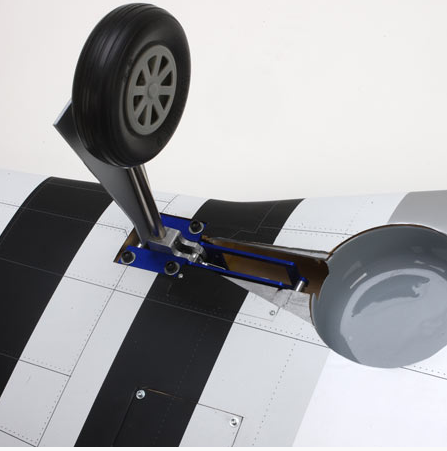 For the ultimate, realistic flight experience, the P-51 comes with all-metal mechanical spring-loaded strut assemblies. These retracts are easy to use—no previous retract experience is necessary. 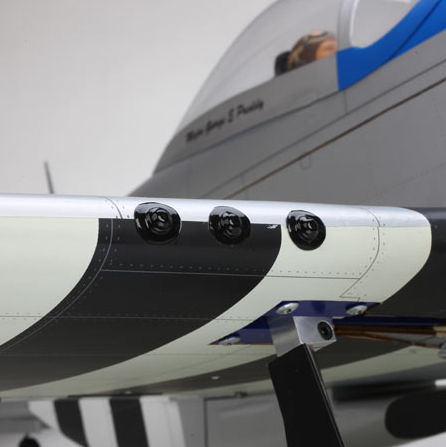 The P-51 comes out of the box with all kinds of details that have been finished for the consumer, including a factory-painted fiberglass cowl, removable scale antenna, scale-shaped spinner, scale tires and hubs, scale guns, and much more. For a high-quality outer surface and realistic appearance, the P-51 is dressed with a printed, scale-like flat finish UltraCote® covering. 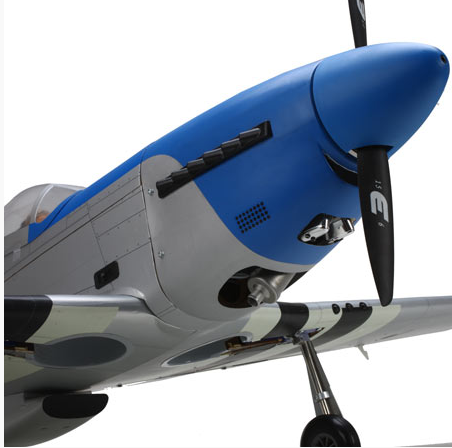 The P-51 Mustang 60 can be powered for performance using a variety of 2- or 4-stroke glow engines or a small 20cc gasser like the Saito FG-20; it is perfectly powered by an Evolution® .61NX engine. Or, the P-51 can be converted to electric power straight from the box—no modifications or conversions are necessary. Hangar 9 has thought of just about everything to make set up convenient, including a removable, easy-access belly hatch and large top hatch for battery packs or radio equipment. 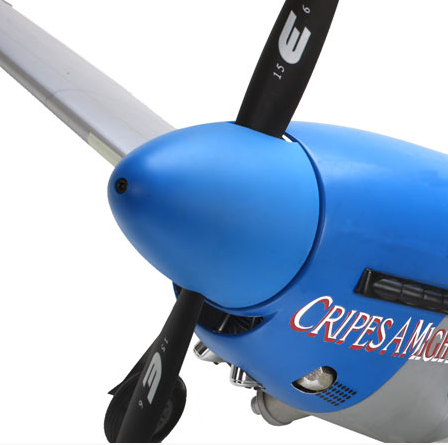 Because all of the mounting hardware is included, consumers can exercise the electric option to quickly and easily mount their favorite E-flite motor to this airframe for charge and fly excitement right from the start.